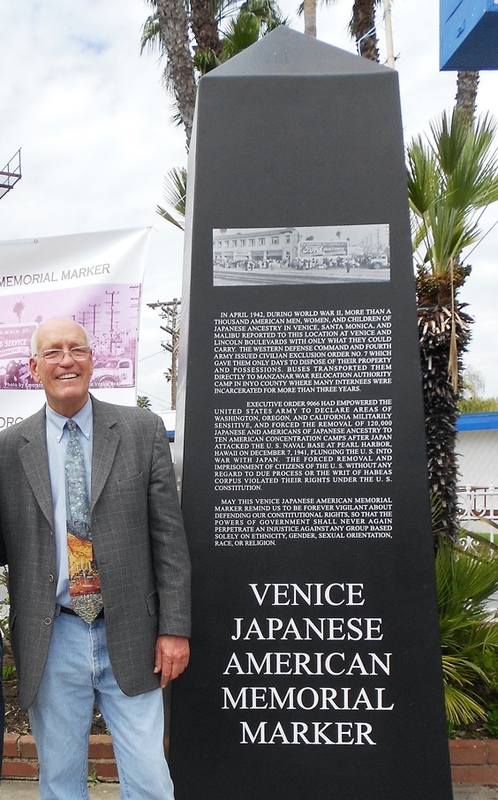 The Venice Arts Council has received a $5,000 grant from Los Angeles County Supervisor Sheila Kuehl (District 3) for the Venice Japanese American Memorial Monument. In 2010, the VAC help found the VJAMM Committee, an ad hoc group composed of former internees, activists, artists and concerned citizens. Their mission is to build a permanent memorial to honor the Americans of Japanese descent forcibly removed from Venice, Santa Monica, and Malibu and incarcerated at the War Relocation Authority camp at Manzanar for the duration of World War II. The inspiration for this project goes back to the attacks on the World Trade Center and the Pentagon on Sept. 11, 2001. Hate crimes against persons perceived to be Middle Easterners or Muslims flared, amid calls for their removal and imprisonment. Artists and activists of Venice drew comparisons with this prejudice and that which followed Imperial Japan’s attack on Pearl Harbor on Dec. 7, 1941. They sought to remind people that what happened to persons of Japanese ancestry in 1942 should never happen again to any minority group solely based on ethnicity, gender, sexual orientation, race or religion. The monument will be installed on the northwest corner of Venice and Lincoln boulevards in Venice. The 9-foot-6-inch-tall solid black granite obelisk marks the spot where some 1,000 persons of Japanese ancestry lined up with only what they could carry in April 1942. Buses transported them directly to Manzanar in Inyo County, at the foothills of the Eastern Sierra Nevada Mountains. VAC members continue to participate in monthly VJAMM Committee meetings, special events, fundraising and the annual pilgrimage to Manzanar. Part of the supervisor’s grant, $500, was allocated towards the fifth annual VJAMM fundraiser held on April 27 at Hama Sushi in Venice, which raised $6,086 for the monument. The remaining $4,500 of the grant will help fund the transportation, foundation and installation of the monument. The VJAMM Committee has raised over $100,000 towards the $150,000 needed to fund the entire project, which includes engineering, design, manufacturing, engraving, transportation, foundation, installation, and maintenance. The committee continues to raise funds to support the VJAMM Educational Outreach Program, which includes website maintenance and curriculum for students in Grades 5, 8, 11 and 12 that incorporate this historic monument. The late Los Angeles City Councilmember Bill Rosendahl with a full-size mockup of the VJAMM. Kuehl will join other major donors to be inscribed on the monument, including three other members of the Board of Supervisors, Mark Ridley-Thomas (2nd District), Zev Yaroslavsky (3rd District, retired) and Don Knabe (4th District); Los Angeles City Councilmember Mike Bonin and the late Councilmember Bill Rosendahl (both 11th District); former State Sen. (now U.S. Rep.) Ted Lieu, 28th Senate District; Esther Chaing, Hama Sushi Restaurant; and Japanese Confinement Site Grant Program, National Park Service, U.S. Department of the Interior. 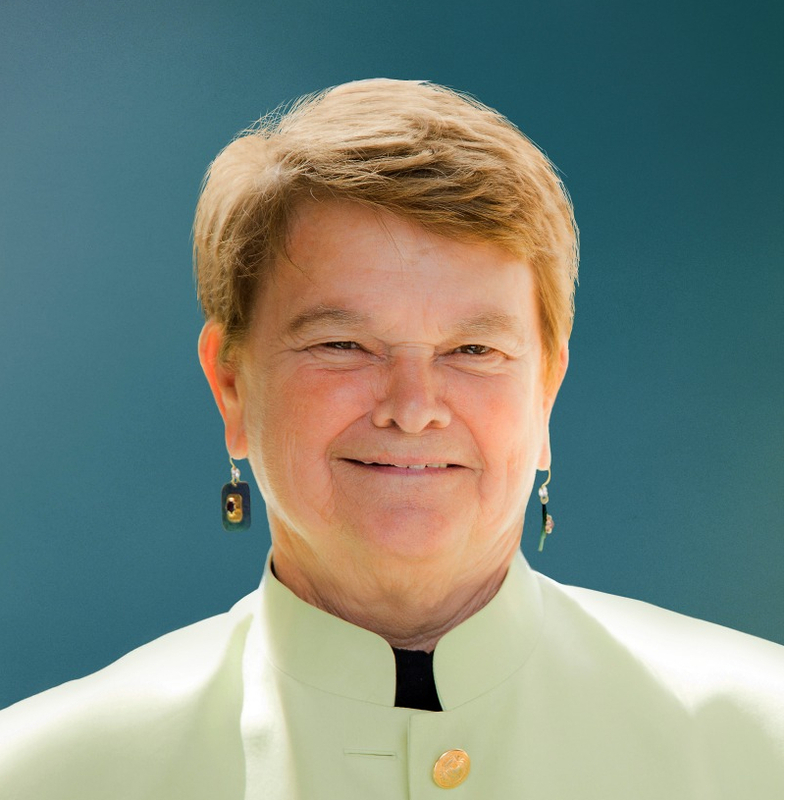 “It is wonderful to have support from Supervisor Kuehl and other elected officials for this very important statement the monument makes,” said Emily Winters, chair and co-founder of VAC. In March, members of the VJAMM Committee delivered a deposit to Williams Monument Company of Arvin (Kern County) for the solid black granite obelisk. David Williams will engrave the text, list of major donors, a map to Manzanar, and quotes from former internees of Manzanar. The obelisk will feature a historic 1942 photo of families lined up along Venice Boulevard, west of Lincoln Boulevard, to be transported to Manzanar. The monument is scheduled to be installed later this year or early 2017. Follow the committee’s progress at www.venicejamm.org and on Facebook. Venice is a vital hub for artistic activity in Los Angeles and the world. The VAC was founded in 2005 to celebrate and support this tradition through preserving public art and encouraging spirited new growth in the culture and the arts of Venice. VAC serves as a forum for community input on public art, promotes projects that include resident artists and their work, and gives collaborative support to local arts and cultural organizations. Venice Community Housing, a 501(c)3, non-profit organization is a fiscal sponsor of the VAC and the VJAMM. “In April 1942, during World War II, more than a thousand American men, women, and children of Japanese ancestry in Venice, Santa Monica, and Malibu reported to this corner at Venice and Lincoln boulevards. They were allowed to bring with them only what they could carry. “The Western Defense Command and Fourth Army issued Civilian Exclusion Order No. 7, which gave families only days to dispose of their property and possessions. Buses transported them directly to the American concentration camp at Manzanar in Inyo County, where many internees were incarcerated for more than three years. “On Dec. 7, 1941, Japan’s attack on the U.S. naval base at Pearl Harbor, Hawaii plunged the United States into World War II. Within days, the Department of justice put Japanese American community leaders into detention centers for the unsubstantiated fear of collusion with the enemy nation of Japan. “On Feb. 19, 1942, President Franklin Delano Roosevelt signed Executive Order 9066, which empowered the U.S. Army to declare areas of Washington, Oregon, and California militarily sensitive. EO 9066 forced the removal of 120,000 Japanese and American citizens of Japanese ancestry from the West Coast to be imprisoned in temporary assembly centers at fairgrounds and race tracks. Months later, they were taken to ten American concentration camps under the War Relocation Authority. “This forced removal and imprisonment, without any regard to due process or the writ of habeas corpus, violated their rights under the U.S. Constitution.